News on formation of political parties seem to fill up my Sunday. 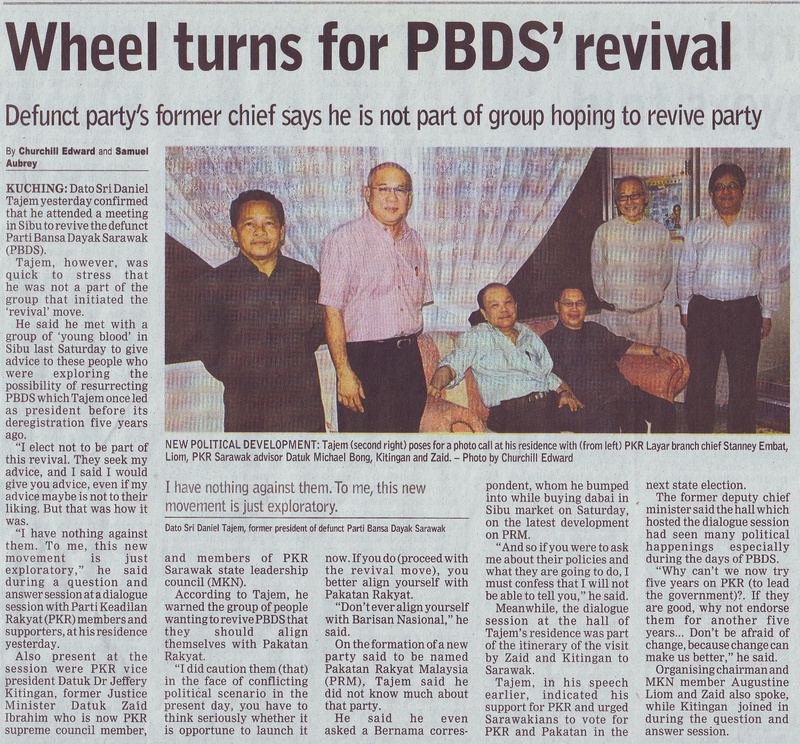 While enjoying kasam ikan gulai buah kepayang, SarawakUpdate reported that Datuk Zaid Ibrahim is meeting Datuk Seri Daniel Tajem on the reviving of the deregistered Parti Bansa Dayak Sarawak (PBDS). Last week we were served with the formation news of Parti Pakatan Rakyat Malaysia, which by now remains as news.. hehehe. The young voters during the coming State Election would love to see a working Yang Berhormat who SHOULD be having their own PERSONAL public office instead of the current trend of mixing up party offices as their public office. These offices SHOULD be manned by capable people who knows how to operate fax machine, update websites, send email to the rakyat (informing the rakyat of activities around them), for goodness sake – answer phone calls and SMSes. In short – the YB’s public office need to embrace every tool available to connect him to his rakyat. Sarawak state flag – which one is official?